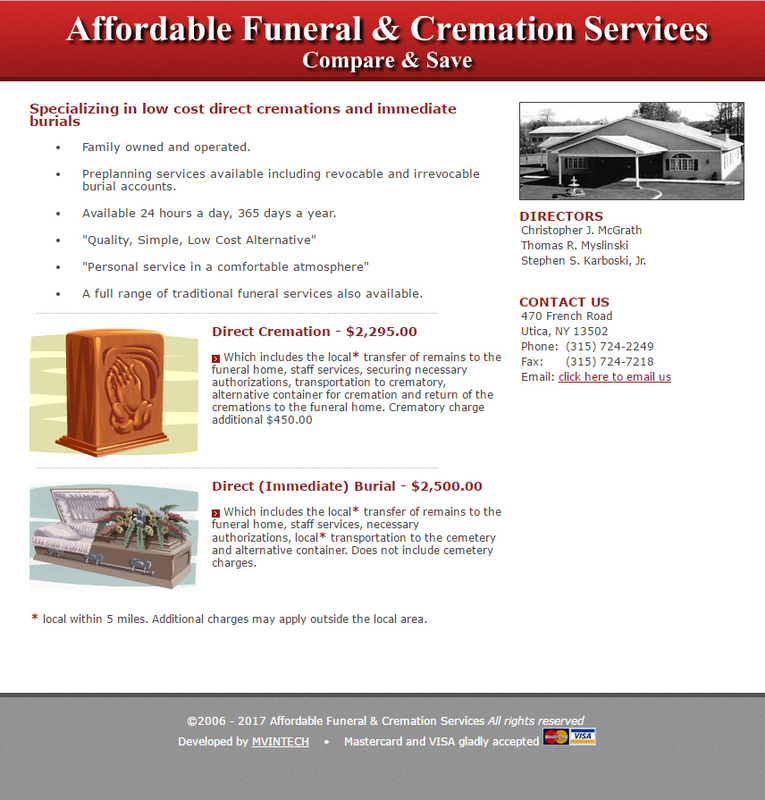 Affordable Funeral and Cremation Services specializes in low cost direct cremations and immediate burials. A family owned and operated funeral home that offers a quality, simple, low cost alternative to expensive funerals. We are available 24 hours a day, 365 days a year, call us at (315) 724-2249 for more information.